If you are locked out in the Winchester Area, have lost your keys, had the misfortune to be burgled, or simply need a locksmith to replace your existing locks to British Standard BS3621:2004 in order to meet your insurance requirements. ACQ Locksmiths Ltd can help. In Winchester and the surrounding area ACQ Locksmiths Ltd provide a professional installation, door opening, lock repair, fitting and replacement service for all types of doors and windows, including garages, domestic roller-shutters and fire escapes. Two in three burglars gain access through a door. The following descriptions may help in understanding the difference between the most common domestic door locks and help identify the most suitable locks for your property. The Home Office recommends fitting five-lever mortise deadlocks (British Standard BS3621:2004) to all external doors. Many insurance companies require this as a minimum standard. Mortice locks are embedded into the door itself and can only be opened with the key. They are commonly found on back doors and are often fitted to front doors in addition to a cylinder rim lock (Yale lock). Mortice locks can often be described as a deadlock or sash lock. A deadlock is a mortice lock which has just a key hole and a bolt. A sash lock has a bolt and a latch and a pair of handles. Mortice locks have several lever variations: a 2, 3, 5 or 7 lever mechanism. 5 lever and above can be British Standard or non British Standard. The higher the number of “levers” the more difficult the lock is to “pick” and the more secure it will be, the more levers in the lock the more key variations there are eliminating duplicate keys. ACQ Locksmiths Ltd recommend all locks should be upgraded and replaced with 5-lever locks, tested to BS3621:2004, which can be identified by the British Standard Kitemark symbol. This is usually a minimum insurance requirement. Mortice locks require a key to be turned to activate the deadlock. The major advantage of a mortice lock is that burglars can not smash an adjacent window, reach inside and unlock the door. The deadlocks on a mortice lock also mean that if a burglar breaks in through a window they can not escape through the door, providing you have not left the key in the lock on the inside. Most front door locks and internal door locks are cylinder locks, commonly known as ‘Yale’ locks, after one of the leading brands. 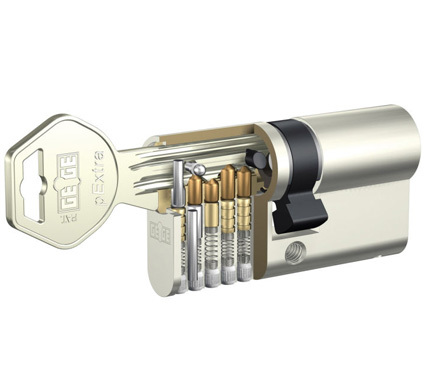 If your front door locks automatically when you shut it and you need a key to open the door from the outside, but it opens without a key from the inside, then you have a cylinder rim lock (Yale lock). 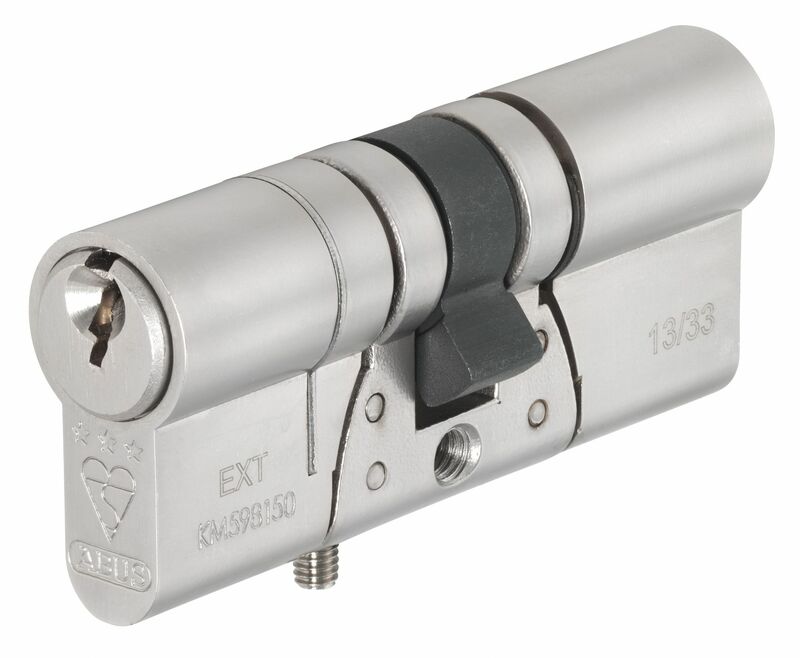 ACQ Locksmiths Ltd will always replace cylinders with lock cylinders of at least equal quality, preferring to upgrade to a more secure high quality lock where necessary. In instances where keys have been lost or stolen, we would only change the cylinder of the lock. Cylinder rim locks are fitted to the surface of the door and are mounted on the surface of the inside of the door with a connecting cylinder, which is fitted into the door with the keyhole on the outside. Restricted cylinders provide physical protection against unauthorized key duplication, thus ensuring extra security to your property. Restricted keys guarantee keys can only be cut with the authorization of the owner usually within a security card system. ACQ Locksmiths Ltd recommended the fitting of mortice locks to supplement cylinder rim locks, particularly on front doors. ACQ Locksmiths Ltd can also fit additional security such as door chains or bars. Within the Winchester area one in three burglaries are through a window. Consider fitting high visibility window locks, so if a burglar breaks the glass the window locks will mean they still cannot open the window and risk injury climbing in through broken glass. Window locks should be fitted to easily accessible windows such as those downstairs and next to flat roofs and drain pipes. Remember not to leave the keys on show in the window locks.